Understanding the physiology of the human body explains why gentle forces are used to move teeth. (read more about tooth movement). When braces put pressure on teeth, it causes cells known as osteoclasts to break down the bone in the path of the tooth movement, similar to a ship moving through sand. At the same time, other cells called osteoblasts are at work on the other side of the tooth. Their job is to make new bone to fill in the space left behind the teeth, like sand filling in behind the ship as it moves, changing direction. Bone cells work together during orthodontic treatment to make sure the teeth are stabilized in their right place in the bone when treatment is completed. Tooth movement is most effective when slow, deliberate, and guided by Dr. Samuel Papandreas. The ideal amount of movement is about one millimeter a month. This rate of speed moves the teeth as quickly as the bone cells are able to do their work effectively. 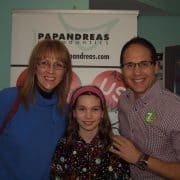 Each orthodontic patient at Papandreas Orthodontics is different and so is treatment time based on individual problems. 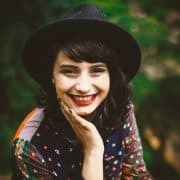 Some patients require only limited treatment to realign teeth for approximately a year, others with a more severe problem due to a “bad bite” (also known as a malocclusion), generally need braces for 18 to 24 months to correct the problem and attain a healthy occlusion. A properly aligned bite is very important to help maintain good dental health over a life time. It prevents future problems such as premature wearing of teeth, tooth decay, and chronic jaw pain if left untreated. Treatment time varies with each individual problem and teeth may be moved at any age as long as there is proper bone support to allow tooth movement, allowing the bone cells to regenerate. 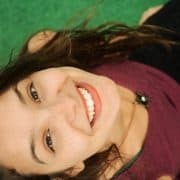 A healthy new smile achieved at the end of treatment is well worth the time it takes Mother Nature and your orthodontist to correct the problem. 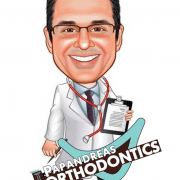 At Papandreas Orthodontics we are pleased to provide you with this helpful information and to offer you the finest orthodontic care for you and your family. For more information, please contact our office for a complimentary orthodontic consultation.